So if you’re a true reader and have been following our travels every single day, you would have noticed we had no post yesterday. Really, there not much to it but you can read about it briefly over on our travel post. 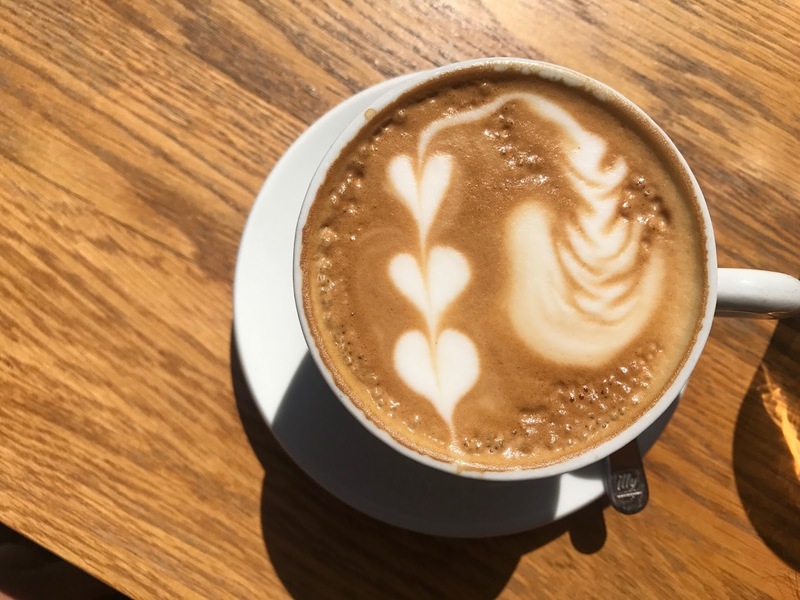 So today we are calling today day 1 of Vienna and of course to kick off the day, we always need to start with coffee. With doing a bit of research we headed off to our first destination, which was closed. Walking around the corner, we found something that looked arguably better and was drawn to it straight away, called Figar. We opted to sit outside as that sun was roaring at 26 degrees, and it only being about 10:30am! 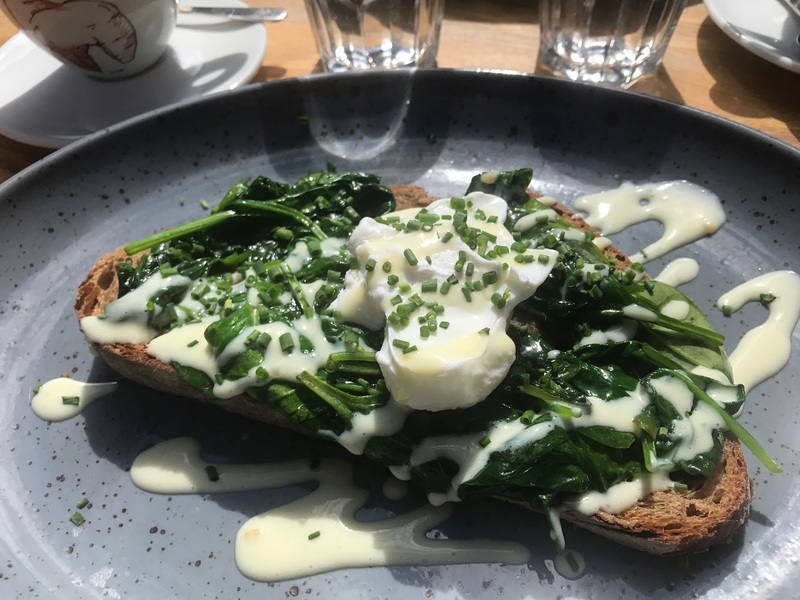 We both chose to have the Eggs Florentine, which we had a deep discussion about us not having it before or not (probably not) but nevertheless it was super tasty and had set our day right. To top it off, as we do in every place we eat we leave a business card and the lovely man who served us spoke to us and gave us a follow on both food and travel Instagram’s. So shout out to you Lukas! We agreed on the Apple Strudel filling and it was delicious, words cannot even describe, we just know that we’re coming back for more! Moving onto lunch, now we don’t have a picture purely because it wasn’t the most proud lunch, with being a typical tourist on the hop on hop off buses, we found ourselves in a somewhat mini adventure park, read more here, and ended up getting a quick bite to fill a hole until dinner as it was already 4pm. Due to our little lunch being late, we actually ended up having dinner a little later than usual. We of course wanted to have a traditional cuisine of Austria. Having been here for less than 24 hours, we’d seen Schnitzels every where! The best place for it according to TripAdvisor was somewhere called Schnitzelwirt. From the outside, it looked pretty glam, fairy lights and a nice outside seating area. So when we walked in to find what we thought was a grungy pub, it took us quite by surprise! But it was clearly full of locals, and Schnitzels were flying out of the kitchen every few seconds, so we stuck with it. We both chose the signature Weiner Schnitzel, which is battered and pounded veal. As you can see, it was absolutely massive and we probably could’ve shared one portion of this. We’re not sure if this is harsh or not, but we thought it tasted like a chicken nugget. That’s all there is to say really. We may not have it again but at least we can say we’ve had it! Oh my gosh the UK really needs to get on board with dounteria! 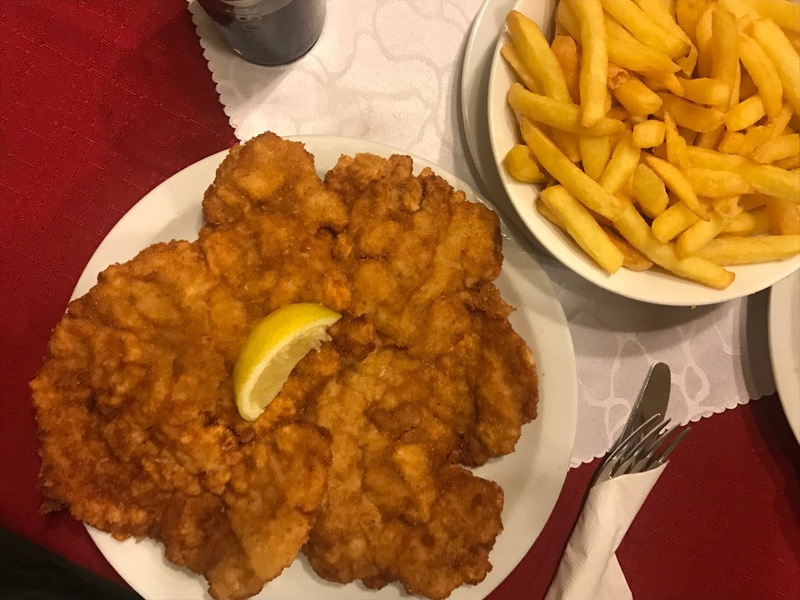 The Schnitzel looks so good – I must admit, that's my perfect kind of food :') I'm definitely simple when it comes to food, haha. 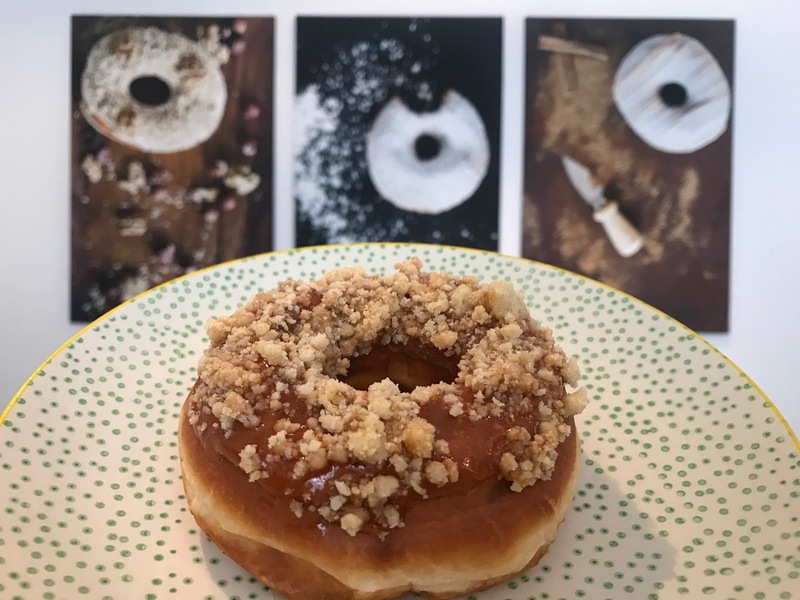 That doughnut looks divine!